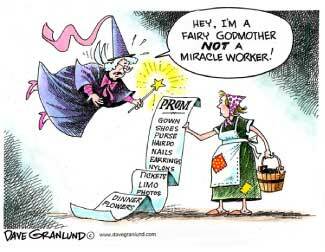 Top 7 Ways to Cut Prom Costs ~ Watch Out Parents: The Average Prom-Goer Now Spends Almost $2,000! The old adage "keeping up with the Jones'" is applicable here, though Kardashians may be more accurate. Thanks to constant exposure to celebrities, reality TV and social media, standards for style are at an all-time high and parents are bearing the brunt of it. Instead of letting the event drain your bank account, consider these tips for saving on prom without sacrificing style. The prom dress is the most important element of the dance, so be prepared to portion most of your budget on it. Shop sale racks at luxury retailers like Nordstrom or hit up Marshalls for discounted name brands. If your teen turns up her nose at department-store styles, shop sample sales for up to 70-percent off designer styles, or consider an alternative to actually buying the dress. RentTheRunway.com is a brilliant online service that offers designer gowns for as low as $75. According to WeddingStats.org, the average cost of renting a tuxedo is $141. This includes all the trimmings like vest and cuff links but typically omits socks and pocket silks. You can easily cut the cost of this necessary expense by opting for a traditional monkey suit: coat, pants, shirt and bowtie. You can also score a discount with bulk orders, so get your teen's friends together for a big order. You thought your teen was good to go once she found "the" dress, right? Wrong. Now you need to find shoes and accessories to complete the look. An easy way to save on bling is to borrow, so suggest an accessory swap party for your teen. Shoes, on the other hand, are best purchased online where deals abound. You can find coupons for Macy's at such sites as FreeShipping.org, plus e-retailers like Endless and Piperlime offer free shipping both ways so you can return what doesn't fit for free. Limo? Rolls Royce? Horse-drawn carriage? Each of these options will cost you a pretty penny thanks to time minimums and gratuity fees. Rides are more affordable when split between a large party, but if that's not an option consider scrapping the ride entirely. Your teen has to make concessions somewhere and unless she can contribute to the cost, transportation is one of the least important parts of the evening. This is the perfect opportunity to teach your high school kid a money lesson. Corsages and boutonnieres are a necessary evil for prom, but that doesn't mean you have to hire a professional floral designer to fill the need. Grocery store flower departments offer perfectly pretty petals for up to 40-percent less than floral shops, plus you can opt for more greenery than flower to reduce the cost. Alternatively, DIY following this great tutorial from LovelyCraftyHome and whip up something truly one-of-a-kind for less. Formal up-do's start at around $40, depending on the salon and length of service. Happily, formal up-dos are being replaced by intentionally casual looks which are easily achievable at home. The best place to look for ideas is Pinterest where the latest styles are often accompanied by detailed how-tos. Formal portraits cost anywhere from $25 to $75 depending on the size and number of prints, and will likely be chucked within a few years. Skip the pricey shoot and opt for pre-dance snapshots of your bedazzled teens. Don't forget, smartphones feature high-resolution digital cameras that can be used to capture magical moments throughout the night. What's the typical budget you think is appropriate for prom? Does it differ greatly between sons and daughters? 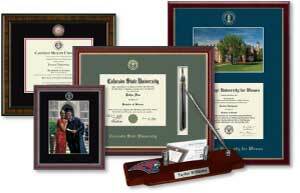 Top 11 Practical College Graduation Gift Ideas ~ Give a Grad Something They Can Really Use NOW!